1. Soldier General Duty - Matric pass minimum 33 & D grade per subject and minimum 45%, C-2 grade & 4.75 points in aggregate OR 10+2 Simple pass. 3. 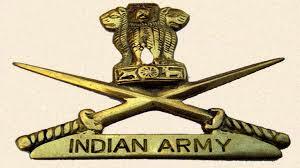 Soldier Technical (Ammunition/ Examiner) - As in @ above OR Three year Diploma in Engg (Mechanical/Electrical/Automobile/Computer, Science and Electronic & Instrumentation Engg) from a recognized Polytechnic Instt/ ITI. 4. Soldier Nursing Assistant/NA Veterinary - 10+2 pass in Science with Physics, Chemistry, Boilogy & English, min 50% marks aggregate 40% marks in each subjects. OR B.Sc Degree (Botany/Zoology/Bio Science) and English simple pass. All the four specified subjects should be studied in 10+2. 5. Soldier Clerks/SKsT - a) 50% marks in each subject and 60% aggregate in class XII. (b) Studied English & Math/Acct/Book keeping in class XII or X and secured minimum 50% Marks in each, whether in Class XII or X. (c) If Graduate or higher qualification percentage marks scored in class XII would still be applicable. 7. Soldier Tradesman (House Keeper & Mess Keeper) - 8 th pass for all caste including ST Category (Adivasi). SLC should be countersigned by District Education Officer.